There are five basic areas you should prepare in before filling out paperwork to apply for an FHA home loan. If you haven’t taken these steps, it is best to do so before you submit your application to the lender. 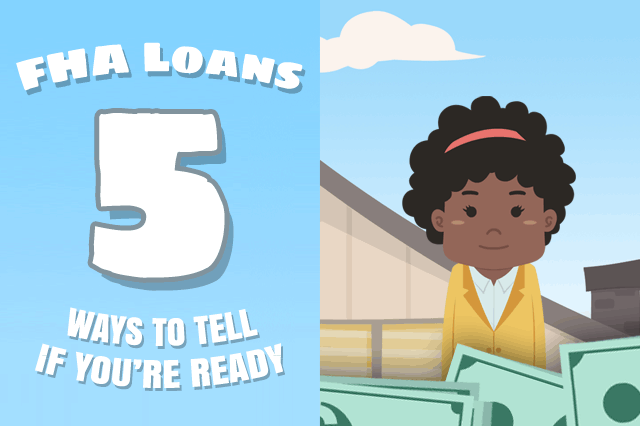 January 28, 2019 - There are five basic areas you should prepare in before filling out paperwork to apply for an FHA home loan. Do you know what they are? If you haven’t taken these steps, it is best to do so before you submit your application to the lender. You are closer to being ready for the home loan application process once the following things are addressed. FHA loan rules are different for condo loans than they are for construction loans, etc. Condo loans, for example, require the project to be on or added to the FHA approved list. Condo units can be purchased with FHA home loans if they do not have restrictive requirements that hinder the owner’s ability to freely sell or transfer the condo at a later date. Mobile homes have an age requirement and cannot be manufactured before 1978 to qualify for an FHA mortgage. Typical suburban homes do not have this age restriction under the FHA loan program. Some lenders may or may not offer certain kinds of mortgages; you may find the lender willing to offer an FHA loan on a condo unit is not necessarily offering the same kind of loans for mobile or manufactured homes. Others may not have the kind of FHA loan you need due to market trends or current demand. This may seem like an obvious thing to mention but any borrower looking to purchase a fixer-upper home will learn that the FHA Rehabilitation mortgage (also known as an FHA 203(k) rehab loan) is the better option for a fixer-upper property. FHA loans for these purposes allow money for both the purchase and the renovation work and is a better option than trying to buy a fixer-upper property with a standard FHA 203(b) forward mortgage. FHA loan guaranty limits vary depending on the housing market-do you know what the loan limits in the neighborhood you want to consider buying in might be? Are they higher or lower than in other counties? This is an important consideration if you are looking at more expensive properties in a housing market that may or may not be designated as a high-cost area. Pull your credit reports a full year ahead of your home loan and you will have plenty of time to work on credit issues, contesting errors on your credit report, etc. Those who get surprises on their credit reports will need time to address them, and it’s a process that can take longer than you realize. The earlier you get to this portion of the loan preparation process, the better. It’s not just about having the time to save up cash to make your down payment, it’s also about sorting out whether gift funds are available from friends and family that could count as part of the money down on your home. It’s also about searching your local area for down payment assistance programs that might be on offer to help you get into a home with less money out of pocket. Closing costs add up; it’s best to anticipate these as early as you do your down payment and add some money to your budget toward those costs. You can negotiate with the seller to pay some of those closing costs, but the seller will be limited to a contribution of six percent of the sales price of the property. The earlier you save up for these expenses, the better off you will be once the loan application is submitted. You may need additional funds for any required compliance inspections or other costs that are hard to anticipate until the loan process is farther along.